Lock Haven University’s commitment to community engagement is primarily met by the MountainServe Center for Global Citizenship, established in 1998 by its director Anne-Marie Turnage. LHU has credit and non-credit bearing opportunities for graduate and undergraduate students to engage in service-learning. The students serving in these places and partnerships engage in these initiatives for a number of reasons, often blurring the lines between service performed for classroom learning, theses research, scholarship requirements, clinical skills building, and personal commitment. This education and the development of global citizen scholars are too important to be contained by a single classroom. 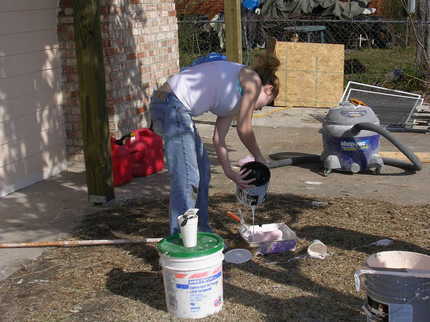 Americorps was established to get citizens involved in community service to improve the areas in which they live. Students at LHU can enroll as AmeriCorps members on a part-time basis and receive a partial Education Award at the end of their term to help support the cost of attending college. Approximately 24 students are selected to serve in the Americorps program every year and these students serve as service leaders on the campus. These students partner with local organizations to address and improve the environment, youth leadership and development, public health and safety, as well as housing and homelessness. LHU has proudly coordinated an Americorps program on its campus since 1999. AmeriCorps VISTA is the national service program designed specifically to fight poverty. Founded as Volunteers in Service to America in 1965 under U. S. President Lyndon Johnson’s administration and incorporated into the AmeriCorps network of programs in 1993, VISTA has been on the front lines in the fight against poverty in America for more than 40 years. VISTA members commit to serve full-time for a year at a nonprofit organization or local government agency, working to fight illiteracy, improve health services, create businesses, strengthen community groups, and much more. The Pennsylvania Campus Compact, a membership organization of 74 college presidents from across the Commonwealth of Pennsylvania with the mission to strengthen communities through campus-community partnerships and promote education for informed civic engagement, awards VISTA members to its member campuses through a grants process. The Pennsylvania Campus Compact (PACC) VISTA program seeks to develop and support community service, service-learning, and civic engagement programs at higher education institutions by placing AmeriCorps*VISTA members at colleges and universities across Pennsylvania. The ultimate goal of the PACC*VISTA program is to foster a sense of higher educational institutions as agents of community change, while developing VISTA members as future leaders in the public service arena. LHU has hosted a PACC*VISTA member since 2001 and their efforts have focused on youth mentoring and tutoring, environmental and place- based learning, and rural community health.